What more could you ask for!!! 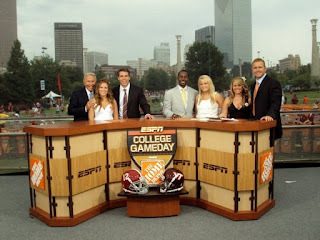 One of the collegians at the chapter I advise is the grand-daughter of Lee Corso. (love him) This weekend, she took a road trip to Atlanta with some of her closest friends/sisters. I love love these photos... I only wish that Game Day would come to FSU this year! Are they wearing <3 Alpha Chi pins? Yay for PACEing! 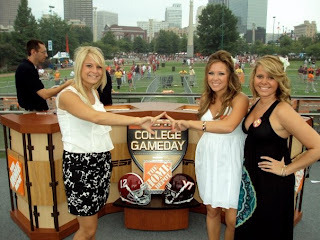 ha..two of my favorite things in life combined.. Alpha Chi's and college game day.. While I am not sure we would be able to have it on the lawn- maybe would could get the Corso, Herbstreit and crew to stop by the house!